Fama and family-we are sorry for your loss. She must have been a very friendly person and I am sure Hermon has lost a moving force. Prayers and hugs your way. So sorry about your mom, Fama! She was a wonderful lady. Our moms are up there together catching up on old times. 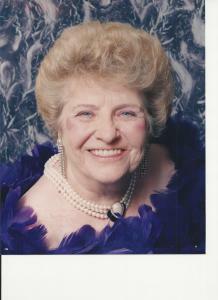 Fama and family-I am so sorry for the loss of Beulah. I remember her fondly from all the years my family lived in Hermon. In fact I have a santa doll that belonged to my mom, and I believe your mom made it. My prayers and loving thoughts go out to you and your family. Fama so sorry to see that your Mom passed away.. We had alot of fun at the Tupperware Parties at her house.. I`ve been in Texas for almost 7 years and I watch the news from Ny to stay in touch…thoughts and prayers fro you and your family.. I have two things to say! You could not ask for a more sincere friend as Beulah. I always told her she was the most beautiful lady I knew in Hermon and she was, right up to the day she became a gorgeous ANGEL. Please tell my angel Hello for me. So sorry to hear of the death of your wife and Mom. It is even harder at this time of year. So sorry to hear of your moms passing, she was always the most friendliest person I knew.I’ll keep you all in my prayers. Condolences to the family for your loss. May Beulah rest in God’s loving arms. I had the pleasure of meeting her at The Friday Girls club. Beulah was a good friend to my Mom and she will be missed. We are so sorry to hear about Beulah’s passing . She will be missed by so many . Prayers and thoughts for all of you ..